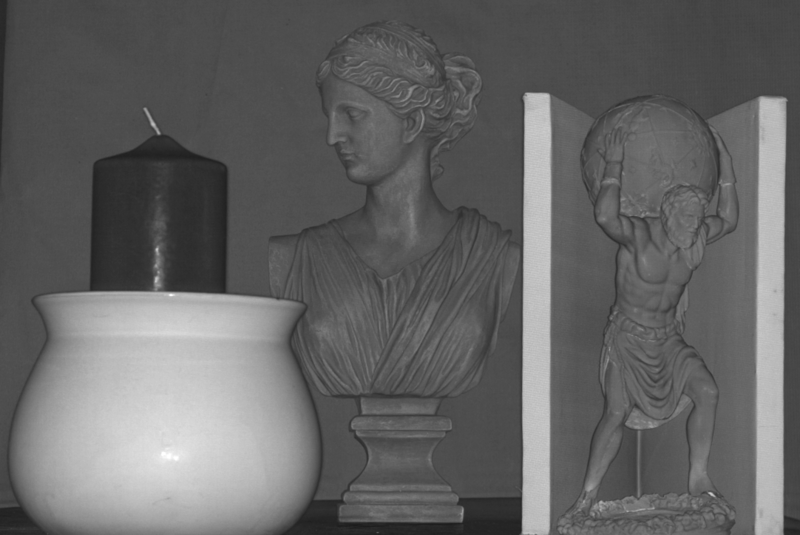 This scene comprises of a wax candle inside a white clay pot, a marble statue of Atlas, a V-groove made of two diffuse planes, and a polyresin bust, in this depth order. The wax candle and the marble statue exhibit a significant amount of sub-surface scattering. 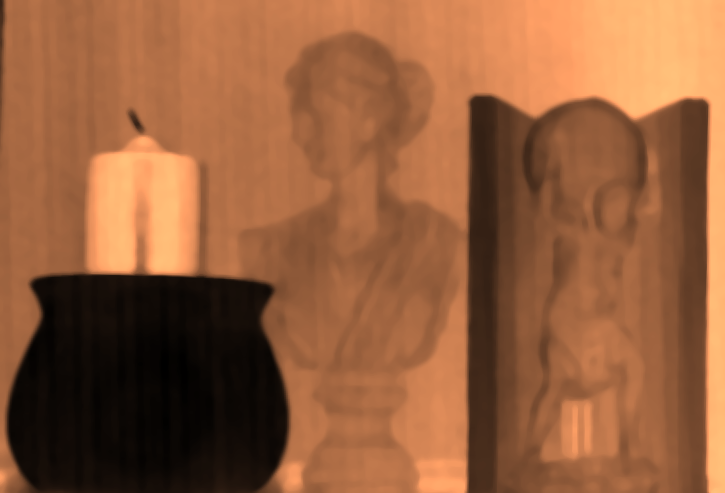 Also, there are inter-reflections in the V-groove concavity and between the folds of the statues. 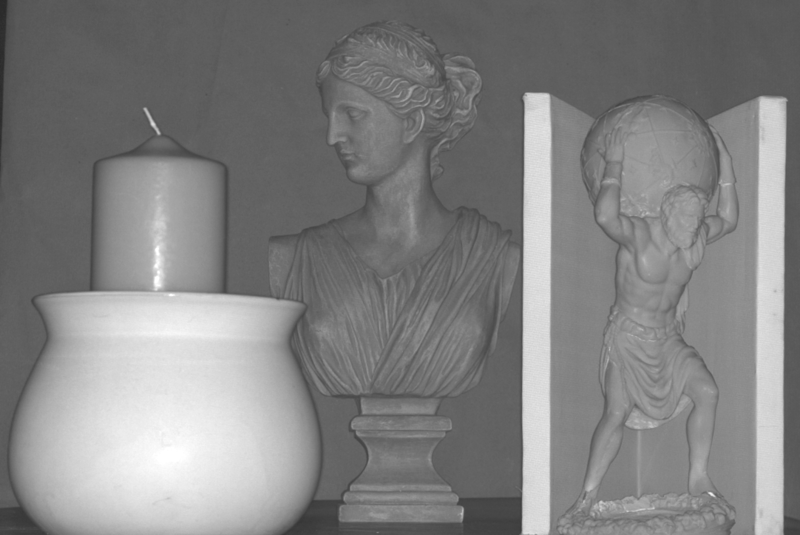 The approximate depths of the clay-pot, the marble statue and the polyresin bust are 150cm, 200cm and 270cm respectively. 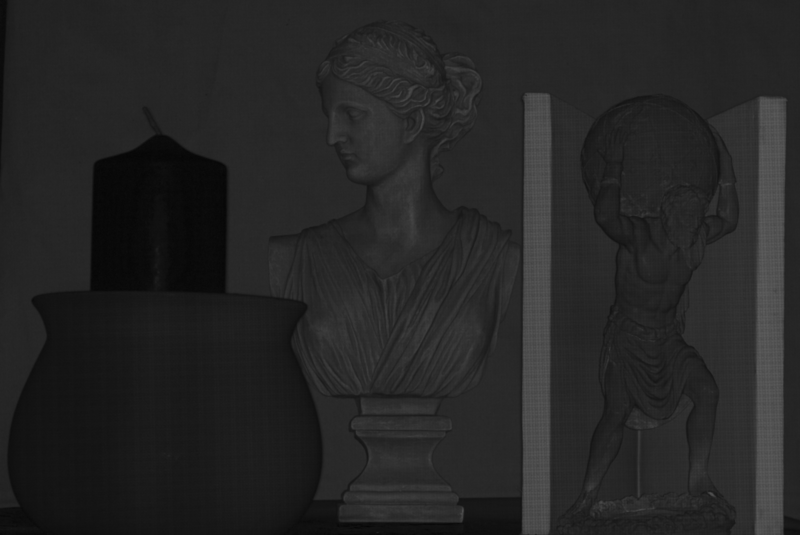 The depth range of the scene (~120cms) is greater than the depth of focus of the projector (~30cms). Click on images for high-resolution versions. 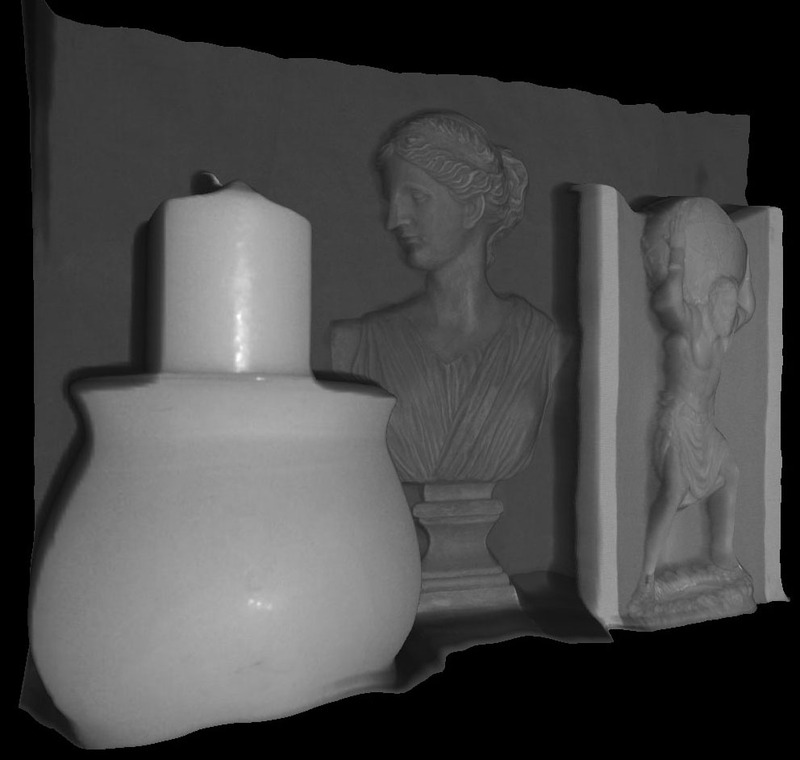 Depth Map using multiple focal planes (Section 5.1). The depths are recovered correctly even in the presence of sub-surface scattering and inter-reflections. Also, since the computations are pixel-based, fine structures such as the wick of the candle are recovered. The stripe artifacts are due to the limited spatial resolution of the projector. 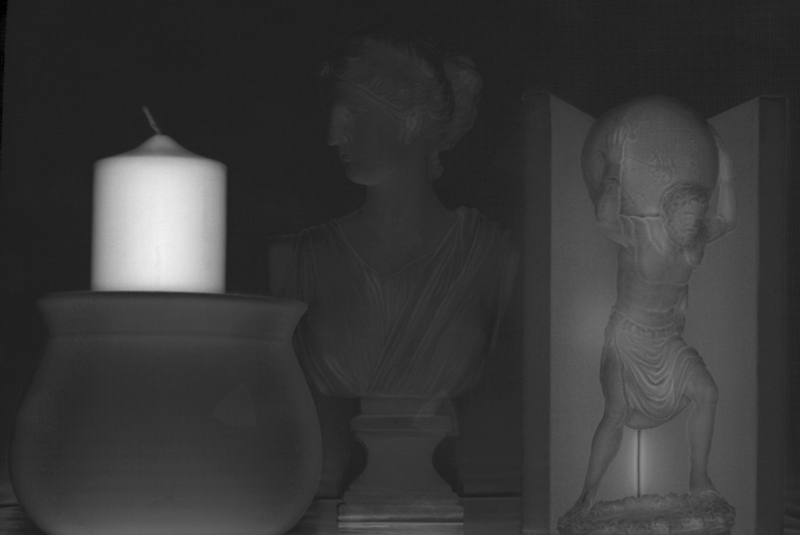 Depth Map using two focal planes (Section 5.2). 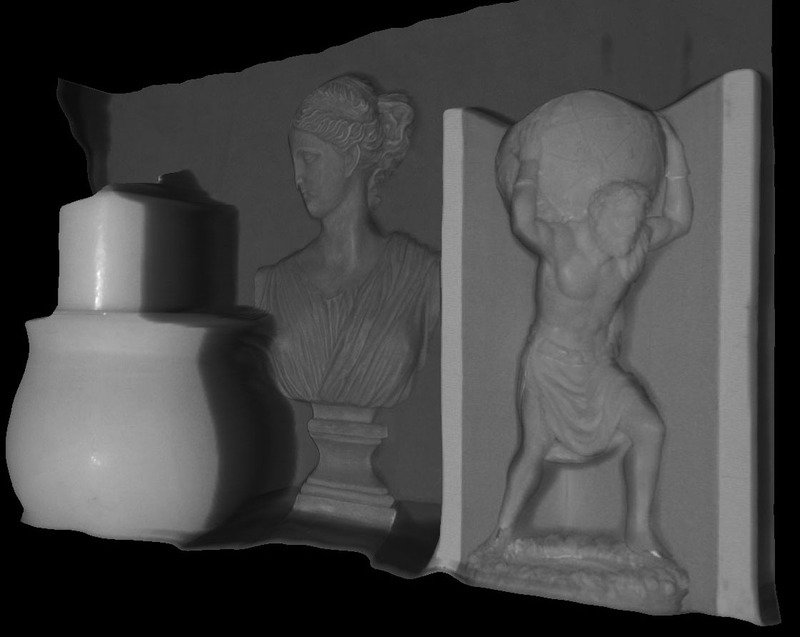 Depth Map using single focal plane . 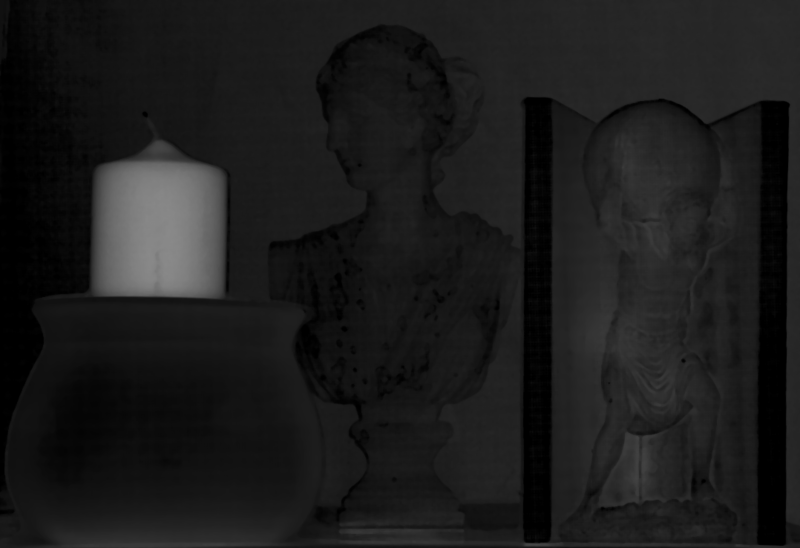 Incorrect depths are recovered in the presence of sub-surface scattering (candle and marble statue) and inter-relfections (inside the V-groove concavity and the folds of the statues). Separation using multiple focal planes (Section 6.1). Notice the high global component on the candle and in the V-groove concavity. On the other hand, global component is low for the clay pot. 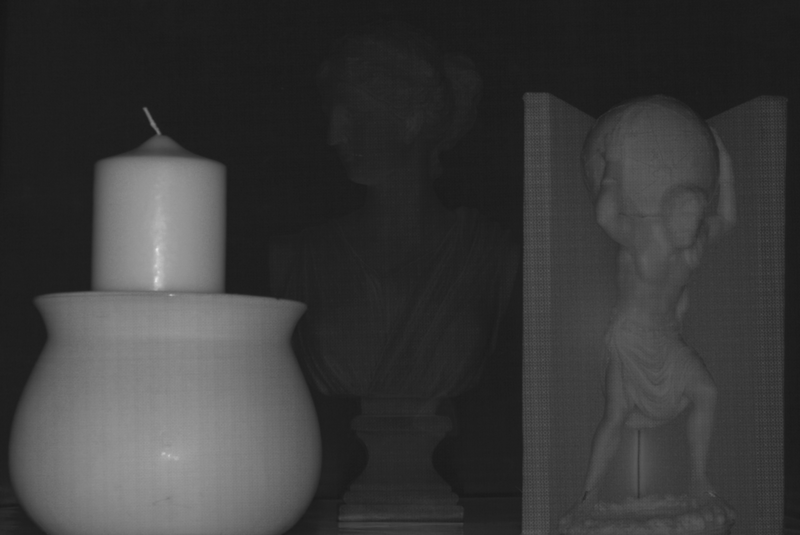 Separation using a single focal plane and depth map of the scene (Section 6.2). This separation result is more noisy as compared to the multiple focal planes algorithm. However, this algorithm requires only a single focal plane position of the projector and a depth map of the scene. Separation using a single focal plane . Since the depth of the scene is larger than the depth of field of the projector, incorrect separation is produced. Here, the projector focal plane is placed behind the scene. 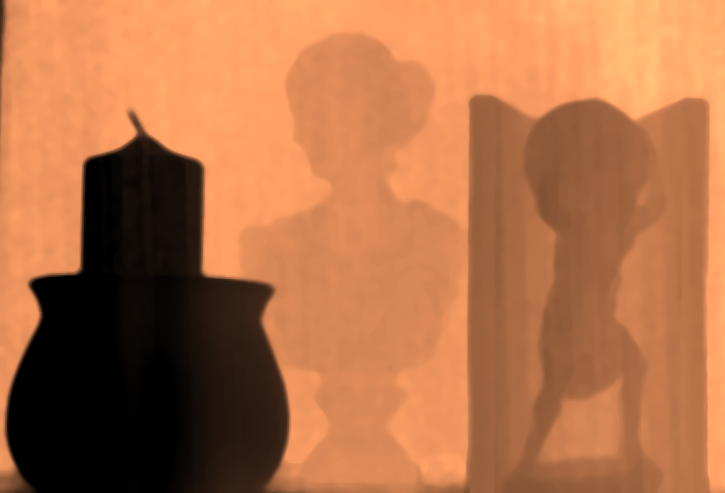 Notice the incorrect separation in the front of the scene: low direct component and high global component on the clay-pot.